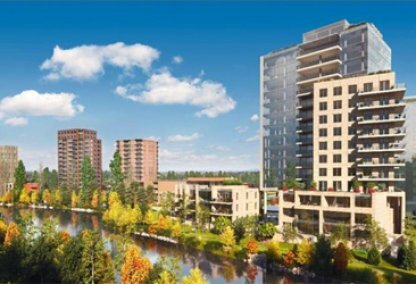 The River in Calgary is a new luxurious condo development, on the 26th Avenue River Investments. A beautiful waterfront building, The River condos are setting a new standard for urban luxury condominiums, resulting in upscale urban luxury living at its best. The River doesn't compromise on size, quality or convenience, and consequently provides a larger-than-life living experience in the heart of Mission. The River's constuction is expected to be complete in the spring of 2015, providing a superb collection of townhomes and condos. Only 38 units will be available in total, 11 of which are townhouses, making The River one of Calgary's most exclusive condo buildings. Explore The River's condos for sale below or find out more about The River, Calgary. An affluent, all-inclusive luxury heaven is provided in The River condos. Resting along The Elbow River, these state-of-the-art condos are well-suited for both families and singles. 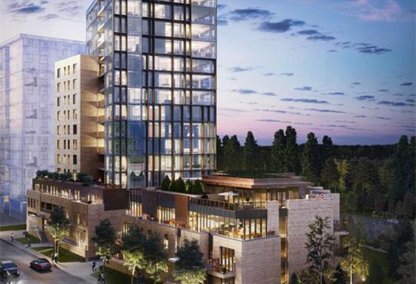 With its gorgeous location, the 15 storey building allows home owners to enjoy incredible views of The Bow River, sunrises and sunsets, as well as the city skyline, illuminated through the night. The River is the right place for a home on the Calgary riverfront. This premium condo development is going to change the look and feel of the entire neighbourhood, elevating residents to a new standard of luxury living. The amenities offered are splendid. Full-time security and restricted elevator access ensure home owners and their investments are well protected, while professional five-star concierge services are offered to residents. A private fitness centre is available to invigorate home owners, while a massage room is there to assist with relaxation. Outdoor terraces, an executive boardroom and a pet-washing bay further enhance living in The River, Calgary. Inside and out, The River has been been decorated by the best designers in Calgary. The suites are complete with a rich array of personal amenities, from the gourmet chef's kitchen to the luxury ensuites. Innovation combines with elegance at The River, and residents can easily enjoy every moment in their home. Justin Havre & Associates can introduce you to your dream condo for sale at The River. Call 403-217-0003 or contact us online to connect with the best luxury condos in Calgary.